Augmented reality car shopping, guided tours of live space and real time Artificial Intelligence chat powered by IBM Watson. These are all aspects of various projects I build and am quite passionate about - using both a natural language and interactive interface, augmenting and adding context to the space around us. This new app incorporates a live, real time Artificial Intelligence chat powered by IBM Watson with both a natural language and interactive interface. Find a car, schedule a test drive and select features important to you. If you see a car on the street or on the lot and you want more information, snap a photo to get full Edmunds content for the Year, Make, Model and Trim. At what point does it make sense not to buy a new car but to Uber instead? Should you sell your car for Uber Credit? Let's find out. As part of the Edmunds current app, I explored a calculator to determine the cost of taking Uber everywhere you go versus the cost of owning a car. Costs not often considered at the purchase of a vehicle include parking, gas, maintenance... tickets. In urban areas, it may make sense for some would-be car buyers to Uber instead. Facebook AI Chatbot is a fantastic tool for augmenting a space with relevant content and media customized to the visitor experience. Utilized in the gallery setting the additional audio tours, printable downloads links and more improve the spatial experience, deliver additional artist content and improve social media client outreach. For cities, the guided tour uses rich historic content and builds community engagement through scavenger hunts, downloads and merchant/restaurant incentives. 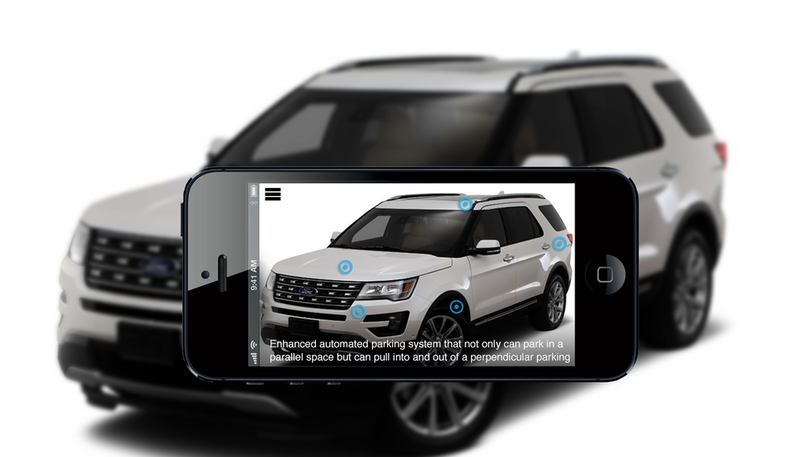 These modules explore the possibilities of the car shopping experience as mediated through a mobile device. 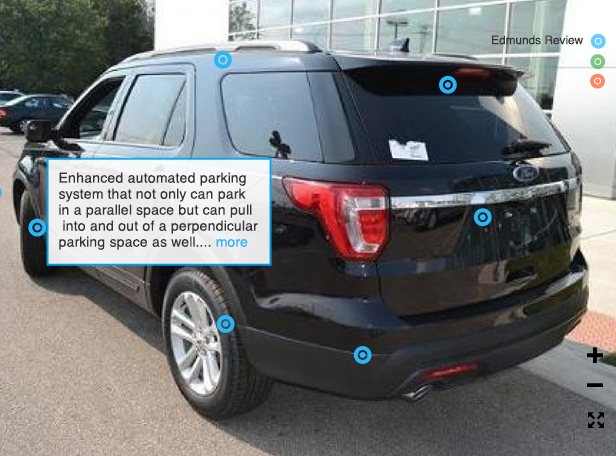 Vehicle recognition, data overlays and contextual touch-points are key to the experience.